Molo Antonia Soft Pant- Butterfly Stripe - Refinery Clothing Co.
Molo has worked with Vans on an exclusive collection. 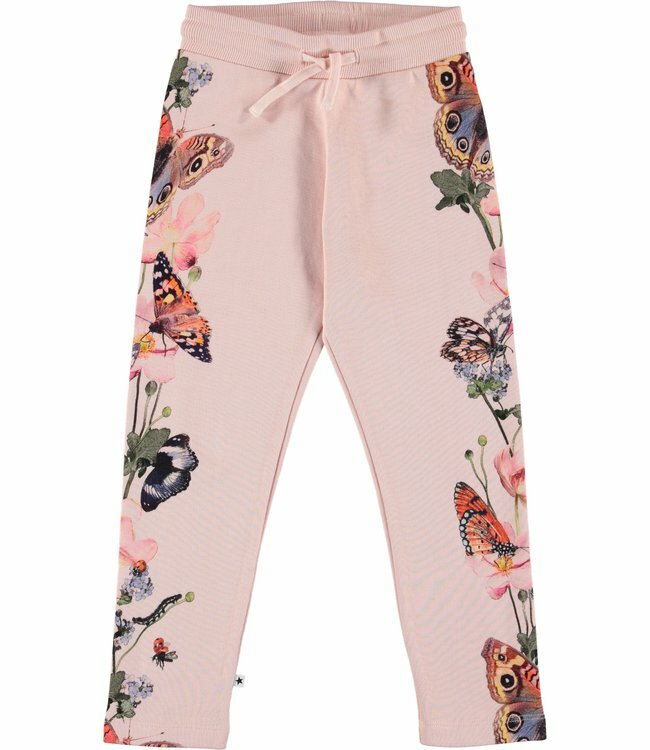 Antonia is a pair of rose coloured sweatpants with a butterfly and flower print on the sides. Wear Antonia with a shoe or a hoodie from the same collection for a comlete Molo and Vans look.